Doubling down on First Data may have been KKR’s best bet. The extra cash just injected into the payment processor means the $29 billion acquisition has now absorbed over $10 billion of equity, one of the highest sums ever for a leveraged buyout. A Breakingviews analysis, however, suggests that a return finally beckons. The private equity firm led by Henry Kravis overpaid for First Data in 2007 and larded it with too much debt. A valuation of about 15 times EBITDA could only be justified by the exuberance of the era. Borrowing 10 times that measure of profit left the company strained when the recession hit. Bosses also failed to find a workable strategy. KKR cycled through four First Data chief executives before poaching Frank Bisignano from JPMorgan last year. After seven years, though, there is evidence of progress. In the first quarter, EBITDA increased by 18 percent from a year earlier. First Data is also optimistic about a mobile payments startup it acquired a couple of years ago and is now rolling out to merchants. The momentum helps explain why KKR just led a fresh $3.5 billion equity placement. If the company can now increase EBITDA by 10 percent annually – plausible given first-quarter performance and forecasts by analysts that smaller peers like Vantiv and Total System Services will grow by about 15 percent – First Data’s EBITDA would hit $3.3 billion in 2016. Apply the 11.1 times average enterprise value-to-expected EBITDA multiple at which a basket of similar companies trades and subtract net debt, and the equity would be worth over $18 billion. Assuming KKR has taken First Data public by then, that market valuation would translate into an internal rate of return, before fees, of about 9 percent. With faster EBITDA growth of 15 percent and a slightly higher 12 times valuation multiple, the IRR would jump to 15 percent. KKR’s latest $1.2 billion contribution, increasing the investment from its own balance sheet and its 2006 buyout fund to almost $4 billion, does at least seem to be avoiding the sunk cost fallacy of throwing good money after bad. It may even turn the badly mistimed First Data deal into an unexpected, if modest, success. Is First Data credit's dead-cat bounce? First Data said on June 19 it had raised $3.5 billion from an equity private placement led by KKR, which bought the firm in 2007 for $29 billion. About $1.5 billion comes from existing investors and $2 billion from new investors. 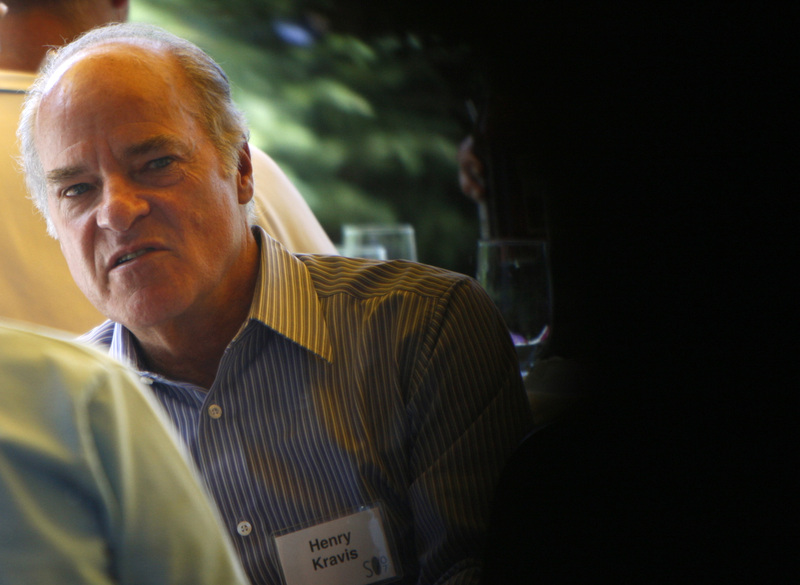 KKR, whose co-founder Henry Kravis sits on First Data’s board of directors, will invest $1.2 billion, $700 million of which is from its balance sheet and $500 million from its 2006 buyout fund. First Data said it would use the proceeds to strengthen its balance sheet and repay debt.